Currently multilingual, Jelastic PaaS was initially created as pure Java Cloud and still maintains a primary focus on this programming language. The maturity of the platform technology was recognized by Java community with Duke’s Choice Award already twice (in 2012 and 2018). This guide acquaints you with the distinctive features of Java hosting within Jelastic platform and lets you easily get started with a broad functionality list. You can choose the preferred version while creating an environment, or change it later. These procedures are described in the Java Versions document. 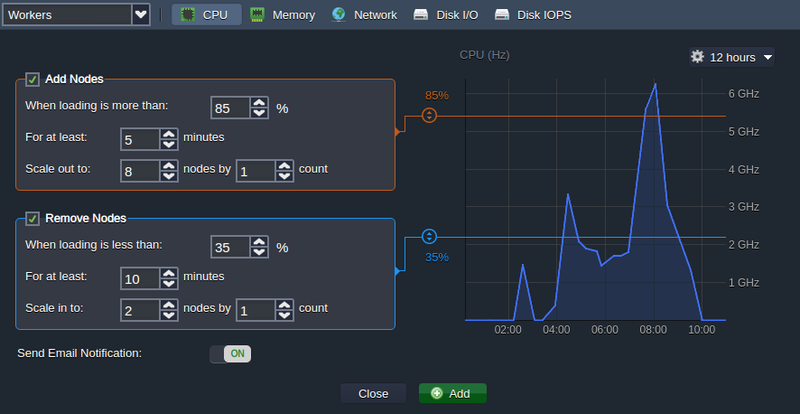 The servers can be configured within Jelastic dashboard. To host a Java application, you need to create an appropriate environment. 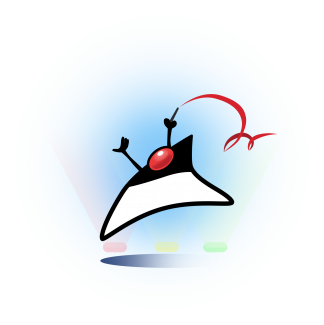 Just open the topology wizard in your Jelastic dashboard, navigate to the Java language tab, pick the desired Java application server, databases or other containers if required, specify basic settings according to your needs and click Create. All added servers represent fully isolated containers, located on different hosts for more availability, while isolation eliminates the risks of interfering with one another. You can attach the Public IP address to any of these servers for being accessed directly. Otherwise (i.e. if using default settings), the incoming requests sent to your application will be proxied by Shared Load Balancer. After environment creation, you can deploy your Java application. Herewith, Jelastic PaaS fully automates the deployment process allowing to get your project up and running effortlessly. 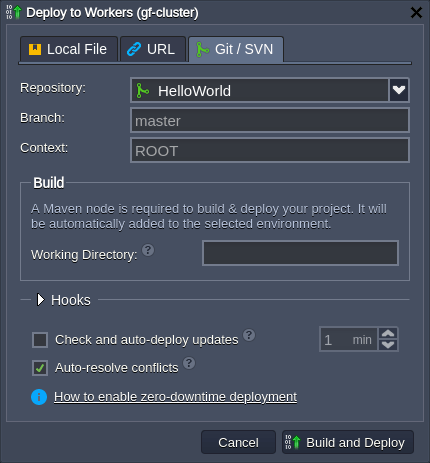 There are also separate instructions for working with Bitbucket GIT repositories and managing your projects via Gitblit and WebDAV. Also, with the help of the swapping domains feature or the SwapExtIps API/CLI method, you can upgrade and modify your application with zero downtime (i.e. your users won’t notice any interruption). 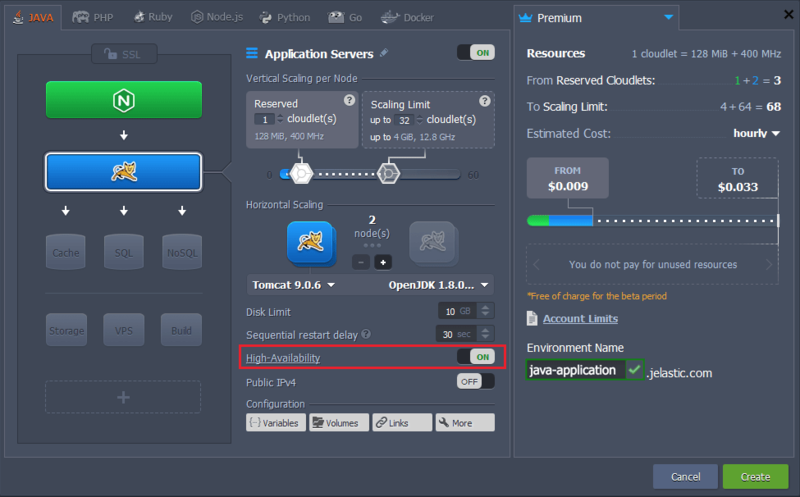 Jelastic PaaS automatically provides the number of cloudlets (i.e. RAM and CPU resources), which are required by your application to handle the current load. Just specify the maximum limit, and everything else is handled by the platform with no manual intervention required. This feature is called automatic vertical scaling and ensures that you never overpay for unused capacities without experiencing resource shortage. In case, your application becomes highly popular, and a single node is not enough, feel free to scale it horizontally. Herewith, to ensure even more reliability and high-availability, all the newly added nodes are created on the different hardware nodes. Click the +/- buttons within the Horizontal Scaling section of the topology wizard to set the required number of nodes (load balancer will be added automatically). Horizontal scaling can be performed not only manually but also automatically based on the current load on the node, which is monitored through the tunable triggers. Within Settings > Monitoring > Auto Horizontal Scaling section, you can adjust the scaling conditions due to your needs, i.e. the lower/upper limit (percentage) for the specified resource type during a certain period. If the load stays out of the set limits, the nodes removal/addition process will be called automatically. The trigger starts monitoring the resource consumption immediately after addition, and when the usage level exceeds the stated limit, a trigger becomes invoked. Subsequently, if the load persists for a defined period, it will be executed, adjusting the number of nodes. The embedded application server clustering feature provides replication of sessions between pairs of nodes and eliminates the necessity of additional software or Memcached usage for increasing applications availability. Jelastic provides automated session replication between Tomcat, GlassFish and Jetty servers with a help of multicast to gain web application high availability within Java cluster. This High-Availability feature can be enabled in the topology wizard while environment creation or tuning. 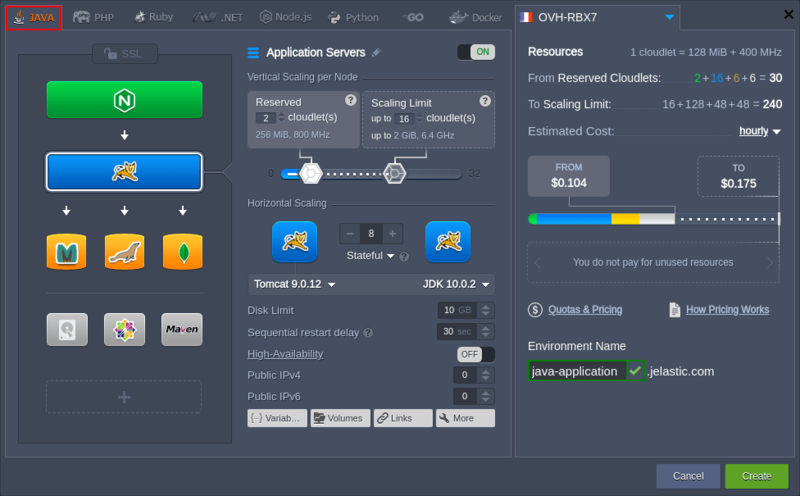 Jelastic PaaS provides high-quality Java hosting with improved availability, redundancy and scalability strengths for your application.